Newcastle United are tracking Burnley winger Dwight McNeil, according to reports. The 19-year-old, who only broke into the Clarets' first-team this season, is attracting interest from several Premier League clubs. It's been a tough learning process for McNeil in his debut campaign with Burnley battling against relegation, though has won many plaudits. McNeil was recently rewarded with a new contract at Turf Moor, a few days before taking to the field against the Magpies in a 2-0 defeat, but that has not prevented clubs from keeping tabs on him. 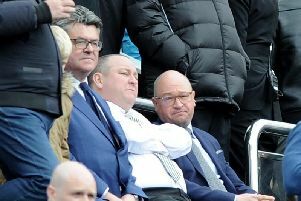 And the Daily Star understands Rafa Benitez has joined Manchester City, Arsenal and Everton in McNeil's list of admirers as well as holding interest in Bournemouth duo Ryan Fraser and David Brooks. However, any potential swoops could rest on the futures of Jonjo Shelvey and Isaac Hayden with the report claiming the duo are likely to leave Newcastle this summer. Shelvey has appeared out-of-favour under Benitez this term while Hayden has spoken openly about wanting to move closer to his family. It remains unclear as to whether the Spaniard himself will remain on Tyneside when his contract expires in the summer. Speaking about his future on Friday after United secured their top-flight status with a 1-0 win at Leicester, the 59-year-old said: "I don't want to talk too much. "But we have been talking about the future behind closed doors, or behind the scenes, however, you say it.